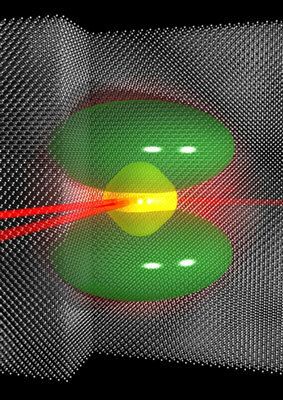 The remarkable ability of an electron to exist in two places at once has been controlled in the most common electronic material - silicon - for the first time. Worldwide nanomaterials researchers seeking the most appropriate way to solve difficult optimization problems typical of nanomaterials research can get easy to follow step-by-step instructions on how to select the best-suited local or global optimization routines, from the Numerical Algorithms Group (NAG) Library, by making use of the Decision Trees for optimization. 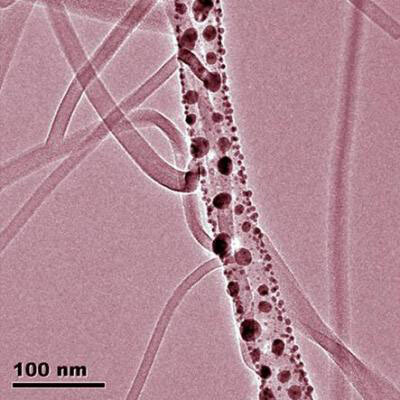 Empa scientists have developed a new method which allows them to create simple networks of organic nanowires. 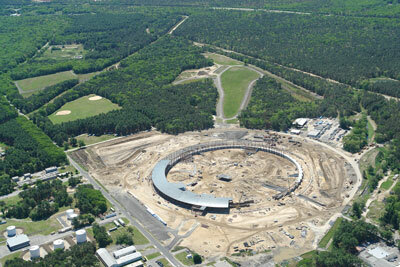 Brookhaven National Laboratory is constructing the world's most brilliant light source, the National Synchrotron Light Source II (NSLS-II). In a recent decision, DOE has approved a new project to begin conceptual design of NSLS-II experimental tools, named NEXT. A Kansas State University chemical engineer has developed and patented a chemical structure to make all-natural personal care products and purer pharmaceuticals in the laboratory. Professor Dr. Matthias Beller vom Leibniz-Institut fuer Katalyse in Rostock, der am 29. August 2010 anlaesslich des 3rd EuCheMS Chemistry Congress in Nuernberg als erster Wissenschaftler mit dem neu geschaffenen European Sustainable Chemistry Award ausgezeichnet wird, eroeffnet am 29. Juni in Rostock das Symposium 'Catalysis and Photochemistry for Energy Technologies'. Liquid water, as well as other liquids, exhibits characteristic vibrations upon excitation with electromagnetic waves over a wide spectral range. 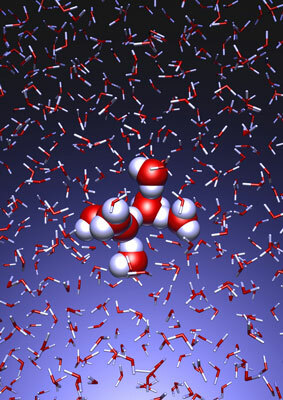 At frequencies which correspond to infrared light, vibrational motions within single molecules can be observed. Increasing the efficacy and minimizing unwanted side effects of cancer gene therapy has been made possible using a new approach. 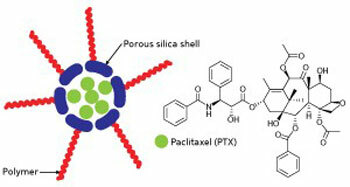 Attaching a water-soluble polymer layer to nanometer-sized silica spheres improves their mobility, facilitating drug delivery in the body. A surprising MIT laboratory finding about the behavior of a thin sheet of material - less than a thousandth of the thickness of a human hair - could lead to improved ways of studying the behavior of electrodes and perhaps ultimately to improvements in the rate of power production from one type of fuel cell. The NanoKTN is pleased to announce the first event from its NanoMed focus group. The event will examine areas where nanotechnology is already improving clinical practice and also where the technology will be impacting healthcare in the near and distant future. Researchers at the nanotechnology research centre imec (Leuven, Belgium) have demonstrated biosensors based on novel nanostructure geometries that increase the sensitivity and allow to detect extremely low concentrations of specific disease markers. The fuel cell vehicle (FCV) is one new technology that might be a viable alternative to the predominant vehicle on the road. However, many challenges remain. What could be better than diamond when it comes to a superhard material for electronics under extreme thermal and pressure conditions? Quite possibly BC5, a diamond-like material with an extremely high boron content that offers exceptional hardness and resistance to fracture, but unlike diamond, it is a superconductor rather than an insulator. 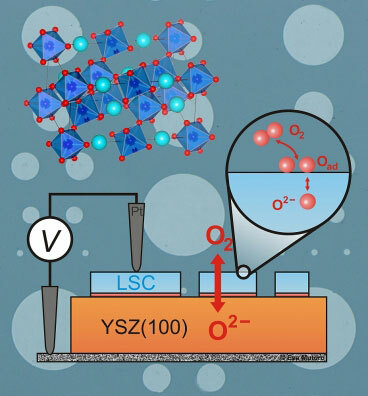 In an important advance, scientists at the Tokyo Institute of Technology have created a stable, rewritable memory device that exploits a liquid crystal property called the 'anchoring transition'.